The Ram 4500 has many different options for folks who have a big job to get done. From trim level to cab size, there's something for everyone. The RAM 4500 is the truck the doesn’t just work for you it becomes a part of you. With many different option features and trims you can truly make this truck your own. Sometime people get it twisted and don’t realize just how accessible and easy to use a large truck like the RAM 4500 really is. Easy in and easy out RAM makes it easy for the driver and its passengers to get in and out. From an additional side step to a large and wide door frame the RAM accommodates just about anyone. The available Uconnect Access System will work as an entertainment center and keep you connected to everything you might need on the go. 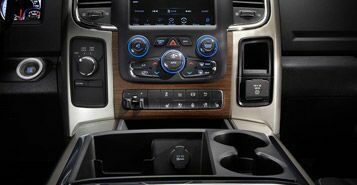 It even offers steering wheel mounted controls to keep everything at your fingertips. With Dual climate control everyone is sure to stay comfortable. 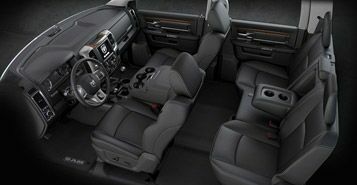 The cab on the RAM 4500 has all the space you need for you, your passengers and your haul of goods. The newly refined interior has enough space that everyone can stretch out while you get the job done. Whether it’s a family road trip towing a boat, or a work trip and a truck load full of goods you will get to your destination in comfort with confidence.